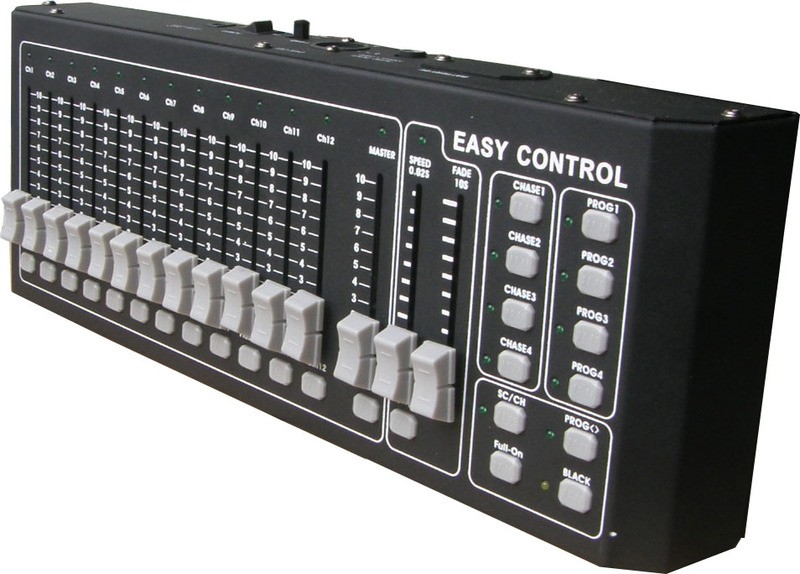 *12 channel DMX output use XRL female connector. *4 program for user and each one with max.84 steps. *Auto running or sound active by inside microphone or exit audio. *Power supply:9v DC 100mA(extern power supply)or 9V pp3 battery. *Speed and fade time control. *Master control and full in and black out.